Key West is our favorite place to spend the winter. 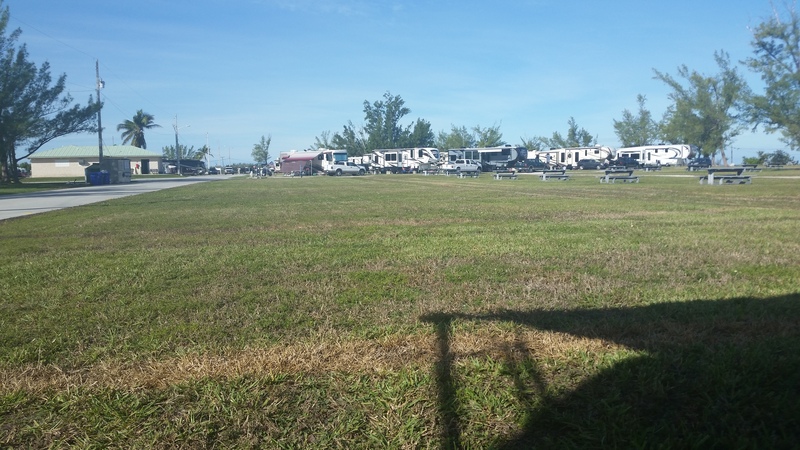 Staying at the Sigsbee Island RV Park (part of Naval Air Station Key West) is a unique, fun-filled, and fulfilling experience. Every year we get to expand our circle of friends. We know more people there then we ever did in our old neighborhood! 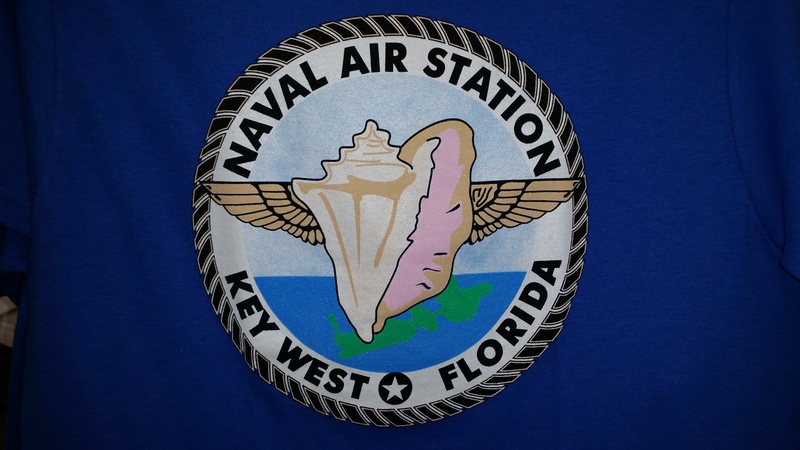 The Naval Air Station had sustained considerable damage from Hurricane Irma and it took them until December 27th to open the park. For the first time they took reservations so they could phase the arrival of several hundred campers into the park. We arrived on December 31st. It was interesting to see the park so empty, but we knew it would only be a few days before it would be filling up quickly. 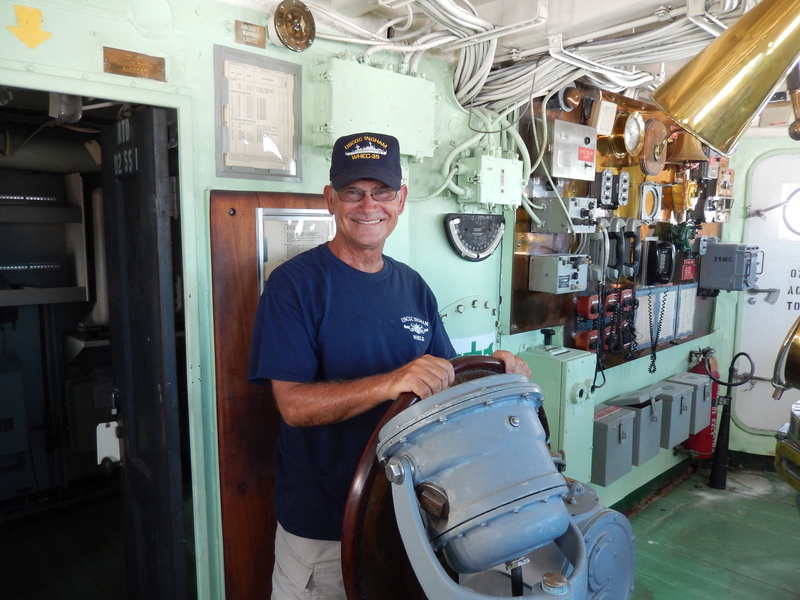 I renewed my duties as a volunteer docent on the Coast Guard Cutter Ingham Museum Ship. I have been doing this since our second year in Key West. I enjoy showing people a ship that served our country for 52 years and is the most decorated Cutter in the Coast Guard. We got involved in our military community quickly. The Key West Half-Marathon has been going on for twenty years. Our small community supports the race by manning two water points on the route. We have two team captains that have been organizing this for as long as anyone can remember – they do an excellent job of coordinating this effort. Unfortunately for the racers the weather was unseasonably cold with strong winds. Despite the weather, we still found it both fun and rewarding to perform this service. Saturday, January 27th over 150 volunteers, many with canoes and kayaks, gathered at Big Pine Key to help in the continuing clean up from Hurricane Irma. We paddled up the canals and walked the streets collecting trash. In and near the canals we found complete decks and docks that had been tossed there by Hurricane Irma. We hauled coolers, sections of fence, and all kinds of trash (even a hot tub) from the canals. Boards from docks and decks were tossed into the canal and towed to collection points to be picked up by heavy equipment later. As bad as Key West was hit, the Middle Keys got clobbered. The clean up still continues today. I also conducted my classes of Snorkeling 101 and Basic Wine Making. These are always fun to present and people seem to enjoy them. It’s a great joy to see someone who is not comfortable in the water discover the beauty of what is below the waves and begin to enjoy instead of fear the water. The highlight of our stay was when our daughter, Elisabeth, came to visit. We toured parts of the island by bike, made SCUBA dives on the USAFS Vandenberg (sunk as an artificial reef) and in the Marine Sanctuary at Looe Key, kayaked at Geiger Key, and generally had a fun time together. Our campground can often become “party central” and there were several parties at waterside campsites to watch the sunset, Karaoke Night at the Sunset Lounge, open mic night at the Geiger Key Marina, as well as a few theme parties like the “Ugly Hawaiian Shirt Party.” There was rarely a dull time at Sigsbee Island. On February 28th we packed up and headed north to visit family near Tampa, FL. 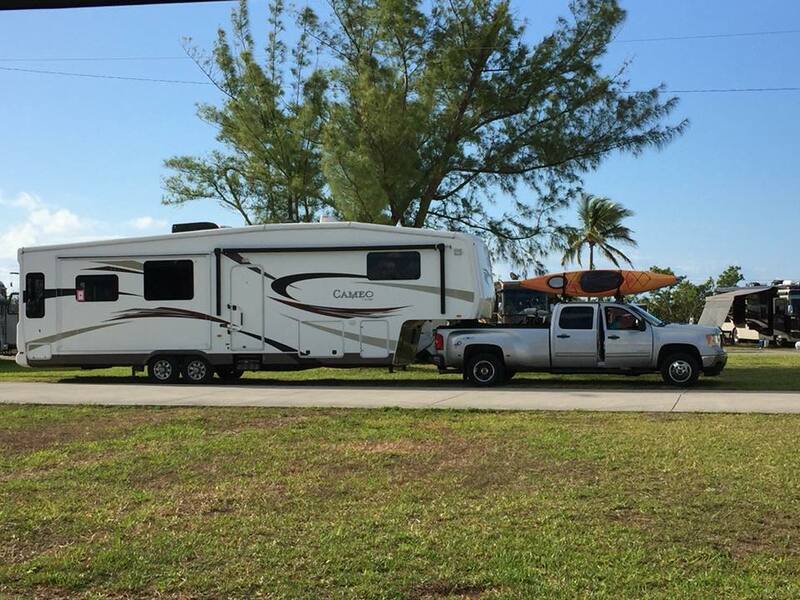 This entry was posted in Florida, Fulltime RV, Michigan Traveler, Military RV Parks and tagged full-time RV, Key West NAS, Michigan Traveler, RV Forums, SCUBA diving, Sigsbee Island, snorkeling, USCCG Ingham. Bookmark the permalink. Sounds like you found your winter niche. Too bad about all the damage from the hurricane. We canceled our Texas excursion because hurricane Harvey did some serious damage to the RV Park we frequent. Each day things begin to improve! Yes, Key West is definitely our new winter home. People had been posting photos of the damage, but we were still struck by how much was still left. There are STILL piles of trash left to be hauled to landfills, but thanks to hundreds of volunteers the progress of the clean up continues every day. Really enjoyed reading this post and seeing your photos. Brought back some good memories. We’ve been there for 3 weeks the past two years and thoroughly enjoyed it. Always hard to come back to the cold here in Virginia. Everyone we met was so friendly and welcoming, and of course, Key West in general is a treasure. Hoping to return next year for a longer stay. Key West has its own, unique culture, that is so varied there is almost something for everyone. Sounds like you had a wonderful Winter in Key West. We love it there but have never tried staying at Sigsbee. After learning some things about boondocking this Winter in Quartzsite, we are planning on giving it a try. Hey, maybe we’ll see each other! Be advised that retirees can make reservations at Navy Getaways six months out. I suspect they will fill up fast. The model is that you start in dry camp and as you move up the list, you rotate into full hookups for two weeks and then back to dry camp to start the process over again. Is Deerfield near Mt. Pleasant? I’ll be in Michigan most of the summer. I stumbled across your blog while doing some “snowbird” research. Great info and I will continue to read. I will be starting my journey the winter of 2019 if all goes well. Key West is the first on the list! Have been going to NASKW for the past 8-9 years and love it! Hi Bob, glad we were able to help, that’s one of the many reasons we have this blog. Feel free to contact us if you want more info!